Known as the patron saint of the poor, of sailors and fishermen, of priests and travelers, a protector and guardian of the mails, and wonder-worker, the story of St. Anthony of Padua is very special. St. Anthony was born in 1195 (13 years after St. Francis of Assisi) in Lisbon, which is now known as Portugal. Given the baptismal name of Fernando, his parents, Martin and Mary Bulhom, belonged to one of the most prominent families of the city. At the age of 15 Fernando entered the religious order of St. Augustine. Monastery life was hardly peaceful for the youth, nor conducive to prayer and study, since his old friends came to visit frequently and engaged in vehement political discussions. After two years, at his request he was sent to Coimbra (cornbrow). There he began nine years of intense study learning the Augustinian theology that he would later combine with Franciscan vision. Fernando was most likely ordained a priest during this time. The life of the young priest took a crucial turn when the bodies of the first five Franciscan martyrs were returned from Morocco. The Franciscans had been preaching Christ at a mosque in Seville. They were in danger of being martyred at the outset, but the sultan allowed them to pass on to Morocco, where, after continuing to preach about Christ — despite repeated warnings, they were tortured and beheaded. In the presence of a huge crowd, including the queen, their remains were carried in solemn procession to the very monastery where Fernando lived. This event, while viewed by many as tragic and sad, was deemed glorious, and in fact was an inspiration to young Fernando. So much so, that it inspired him to make a momentous decision, one that would change his life and the lives of many to come. He decided that he too would become a Franciscan! 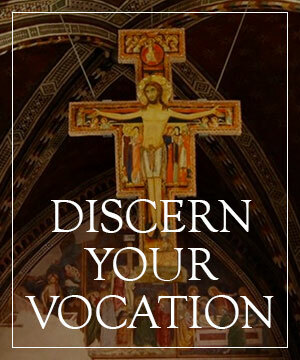 From the beginning, he shared his feelings with the Franciscan brothers saying, “i would gladly put on the habit of your order if you would promise to send me as soon as possible to the land of the Saracens, that I may gain the crown of the Holy Martyrs.” to accomplish this he asked permission to leave the order of St. Augustine. After some challenges from the prior of the Augustinians, he was allowed to leave that priory. The young Augustinian monk called Fernando went to the convent of St. Anthony, where he took vows of the Franciscan order and assumed the name of Anthony in honor of the patriarch of hermits. True to their promise, the Franciscans allowed Anthony to go to Morocco, to pursue what he felt was his calling – to be a witness for Christ, and a martyr as well, if God asked. But, as often happens, the gift Anthony wanted to give was not the gift that was to be asked of him. While in Morocco, he became seriously ill, and after several months realized he had to go home. During the journey home, his ship ran into storms and high winds and was blown east across the Mediterranean. Eventually his ship made land on the east coast of Sicily. The friars at nearby messina, though they didn’t know him, welcomed him and began nursing him back to health. Still ailing, Anthony wanted to attend the great Pentecost chapter of mats (so called because the 3,000 friars could not be housed and slept on mats). Francis of Assisi was there and was also sick. Since Anthony was essentially a visitor from “out of town” at the friary in Sicily, he received no assignment during the chapter of mats, so he asked to go and be with a provincial superior from northern Italy. “Instruct me in the Franciscan life,” he asked, not mentioning his prior theological training. When the provincial superior agreed, Anthony was overjoyed. Now, like Francis, he had his first choice — a life of seclusion and contemplation in a hermitage. Anthony was first recognized for his great gift of preaching at a gathering for the ordination of Dominicans and Franciscans in 1222. After they finished their meal, the provincial suggested that one of the friars give a short sermon. There were no immediate volunteers among the group, so Anthony was asked to give “just something simple,” since he presumably had no education and at the time was only 27 years old. Anthony, while resisting the offer at first, finally began to speak in a simple, artless way. The “fire” within him became evident. His knowledge was unmistakable, but it was the passionate manner in which he spoke that truly impressed everyone in attendance. Once his talents and knowledge were exposed, his quiet life of prayer and penance at the hermitage was exchanged for that of a public preacher. Francis heard of Anthony’s skills as a preacher, and re-assigned the young priest to preach in northern Italy. We know that not everyone was impressed by his preaching. Legend has it that one day, faced with deaf ears, Anthony went to the river and preached to the fish. That, reads the traditional tale, got everyone’s attention. Anthony traveled tirelessly in both northern Italy and southern France—perhaps 400 trips—choosing to enter the cities where the heretics were strongeSt. Yet the sermons he has left behind rarely show him taking direct issue with them. As church historians interpret it, Anthony preferred to present the grandeur of Christianity in positive ways. It was no good to prove people wrong: Anthony wanted to win them to the right, the healthiness of real sorrow and conversion as well as the wonder of reconciliation with a loving father. Anthony’s superior, St. Francis, continued to hear glowing reports of Anthony’s sermons, knowledge of scripture and devotion to Mary. In 1224 he wrote to Anthony asking him to teach his brother Franciscans. Anthony became the first teacher of the Franciscan order to be given special approval and blessings of St. Francis. Anthony continued to preach as he taught the friars and assumed more responsibility within the order. In 1226 he was appointed provincial superior of northern Italy, but still found time for contemplative prayer in a small hermitage. Around Easter in 1228, at the age of 33, he met Pope Gregory IX in Rome. The Pope had been a faithful friend and adviser of St. Francis. Naturally, the famous preacher Anthony was invited to speak. He did it humbly, as always. The response was so great that people later said that it seemed the miracle of Pentecost was repeated. Back in Padua in 1231, Anthony preached his last and most famous Lenten sermons. The crowds were so great—sometimes 30,000—that the churches could not hold them, so he went into the piazzas or the open fields. People waited all night to hear him. A bodyguard was needed to protect him from the people armed with scissors who wanted to snip off a piece of his habit as a relic. After his morning mass and sermon, Anthony would hear confessions. This sometimes lasted all day—as did his fasting and constant prayer. The great energy he had expended during the Lenten season left him exhausted. He went to a little town near Padua to rest and recover, but he soon realized death was coming close and he wanted to return to Padua, the city that he loved. The journey in a wagon weakened him so much, however, that he had to stop at Arcella. In the end, he had to bless Padua from a distance, as Francis had blessed Assisi from a distance. At Arcella, he received the last sacraments, sang and prayed with the friars there. When one of them asked Anthony what he was staring at so intently, he answered, “I see my lord!” he died in peace a short time after that. He was only 36 and had been a Franciscan for only 10 years. The story and tradition of devotion to St. Anthony of Padua began almost immediately upon his death on June 13, 1231. Thousands came to view the body of Anthony and attend his burial. His grave at once became a place of extraordinary devotion and numerous miracles. The following year, his friend, Pope Gregory IX, moved by the many miracles attributed to him during his life and that occurred at his tomb, declared him a saint. In 1946, Pope Pius XII officially declared St. Anthony a doctor of the church. The first is the story of St. Anthony’s bread. Many people give donations to help the poor in thanksgiving for gifts they’ve attributed to St. Anthony’s intercession. They call this St. Anthony’s bread. The story of St. Anthony’s bread is said to have began in 1263, when a beloved child drowned near the basilica of St. Anthony. The child’s mother prayed for St. Anthony’s intercession and promised that if the child was restored to her, she would give the child’s weight in grain to the poor in order that they could make bread – a very great gift in a time of widespread poverty and hunger. When the child was miraculously restored to life, the woman was true to her word and the tradition of giving alms to the poor in St. Anthony’s name was begun. It is a beautiful tradition of generosity and charity to the poor. And it is fitting that it is done in St. Anthony’s name, since he is the patron saint of the poor. Many people think of St. Anthony as the “finder of lost items”. The reason for invoking St. Anthony’s help in finding lost or stolen items is traced back to an incident in his own life. As the story goes, he had a favorite book of psalms that was very valuable to him. As this was before the invention of printing, the book was a hand-printed book – but of even more value were his personal notes and the comments he had made in the Psalter to assist with teaching students in the Franciscan order. It was suspected that a novice leaving the community had stolen the Psalter. Anthony prayed for the return of his beloved possession. Shortly after, the novice returned the book and sought Anthony’s forgiveness, which was given. St. Anthony is also known as the guardian of the mail as a result of another incident in his life. Although he always sought solitude and time for reflection, Anthony was so popular a preacher that he rarely got time to rest. He dutifully wrote to his superior for permission for a respite and time to travel some distance away for reflection. However, as the story goes, when the messenger arrived for the letter, it was no where to be found. Anthony took this as a sign that he was not to go and forgot about the trip. Shortly after, he received permission from his superior to take the trip. Another legend of 1792, tells of a heart-broken wife seeking news of her husband who had traveled from Spain to Peru. Despite writing many times there was no answer. In desperation she went to the chapel and placed a letter in the hands of the statue of St. Anthony and prayed he would intercede on her behalf and assist with delivery of the letter. The next day when she returned to the chapel, she was disappointed that the letter was still there. Upon removing the letter, she realized her letter had been replaced by a letter from her husband. He wrote that her last letter had been delivered by a Franciscan priest, and that he was overjoyed to receive her letter as he had thought her dead since not hearing from her for so long. Novenas to St. Anthony are celebrated in many churches and shrines around the world. Many begin on Tuesdays as Tuesday was the day Anthony was buried and the miracles at his tomb began. The beginning of novenas is linked to a story of a childless couple. After many, many years of longing for a child, the wife took her troubles to St. Anthony. He is said to have appeared to her in a dream, telling her, “for nine Tuesdays, one after the other, make visits to the Franciscan chapel and approach the holy sacraments of penance and the altar, then pray, and what you ask, you shall obtain.” the couple soon had a child. Whatever fact may or may not be behind the legend, in 1898 Pope Leo XIII encouraged the devotion by granting a plenary indulgence to those spending time in devout prayer in honor of St. Anthony with the intention of doing so for consecutive Tuesdays. Many images of St. Anthony picture him with lilies and the Christ child. In many places lilies are blessed and distributed on the feast of St. Anthony. The lily is meant to remind us of St. Anthony’s purity and our own need to pray for the grace of purity in times of temptation. There are many versions of the legend of St. Anthony cradling the Christ child. In most, St. Anthony had traveled to a local hermitage to spend time in prayer. One night, while deep in prayer, Jesus appeared to him as a child. The room filled with light and laughter as St. Anthony held the Christ child in his arms. As the story is told, the owner of the hermitage, upon seeing the light, came to investigate only to behold St. Anthony and the Christ child. When the vision ended, St. Anthony realized the owner was kneeling at the door and begged him not to share the story until after Anthony’s death. Anthony was a simple and humble friar who preached the good news lovingly and with fearless courage. 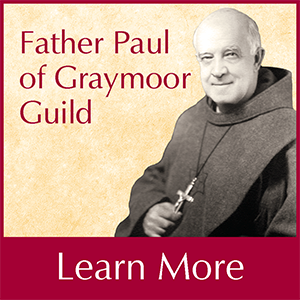 The youth whom his fellow friars thought was uneducated became one of the great preachers and theologians of his day. He was a man of great penance and apostolic zeal. But he was primarily a saint of the people. His effectiveness in calling people back to the faith through his preaching was just as important as his peacemaking and calls for justice. To this day, St. Anthony of Padua is one of the Catholic Church’s most revered and popular saints. One of the reasons for this is likely that his life was what every Christian’s life is meant to be — a steady courage to face the ups and downs of life, the call to love and forgive, to be concerned for the needs of others, to deal with crisis, both great and small, and to have our feet solidly on the ground of total trusting love and dependence upon God. In the spirit of our fellow Franciscan, St. Anthony of Padua, may God bless you.